Our commentary on the work of Parabellum must start by going beyond genre sectarianism that plagues genres, including that of so-called Colombian “ultra metal” back in the eighties. To begin with, Parabellum is arguably the originator of any and all musical contributions by said movement and style. That is to say, “ultra metal” is Parabellum. 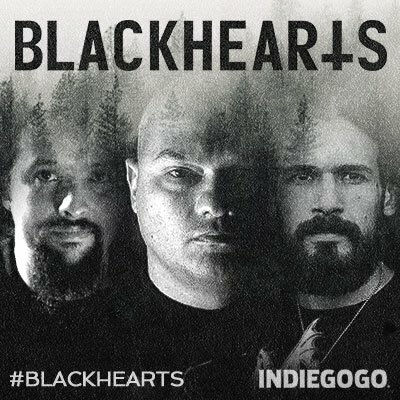 All other bands subscribing to this approach are seen to grasp only a fraction of the possibilities, with unique propositions that fell short by an apparent lack of insight of what the breaking of chains occuring here could lead to. Where the movement was clearly imitating the visible distinctive traits that Parabellum exibited, it was this band alone that cultivated twisted vociferations, stop-go hardcorisms and unconventional ways of utilizing caveman black metal riffs into compositions that were not only well-beyond their time, but which signal a timeless approach that could inform possibilities for the future of metal well into the 21st century. 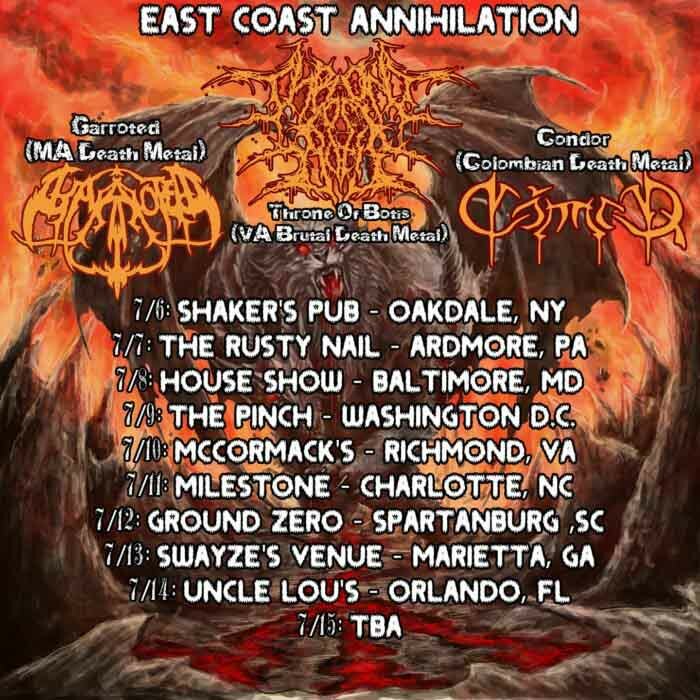 Acclaimed progressive rock and heavy/death metal band Cóndor are touring the east coast of the United Stated next month with techdeaf Morbid Angel worshipers Garroted. 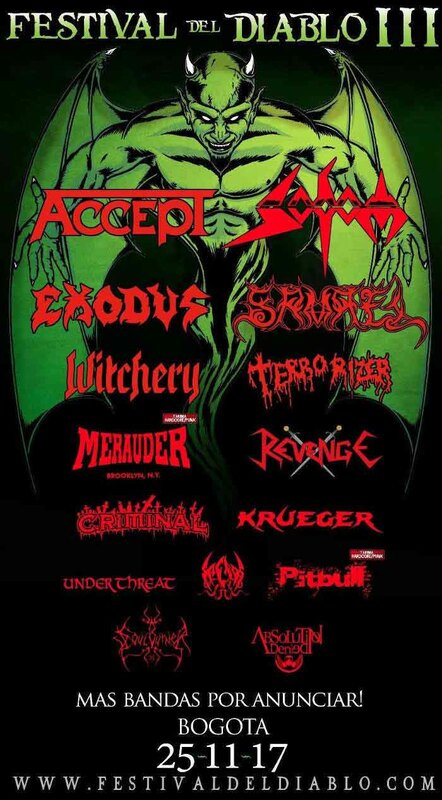 This will be a good chance for seasoned headbangers to check out an accomplished band with enough quality material to make for a great live set and an up-and-coming run of the mill band that can play their instruments. Garroted could potentially improve in the future if they compose their riffs into effective death metal mazes that progress forward instead of simply playing them one after the other. Condor again present a wholesale blending of death metal, classical guitar, folk, and progressive rock influences into epic heavy metal songs rather than pretending instrumental masturbation is intelligent like Dream Theater or that alternative rock with power chord chugging and a couple angular or dissonant riffs is metal like Bolzer. On Sangreal attempt to convey the romanticism behind the Arthurian legend, particularly the grail cycle concerning Percival or Galahad restoring fruit and flower to the desolate Waste Land rendered infertile by the sins of the maimed and emasculated Fisher King. Condor surprises us in their last album, Sangreal, with several different advances of stylistic explorations. While Duin constituted a formalization of the finding that was Nadia, we could expect that the next step to be taken should be precisely this expansion of a consciousness which had only recently become aware of itself. 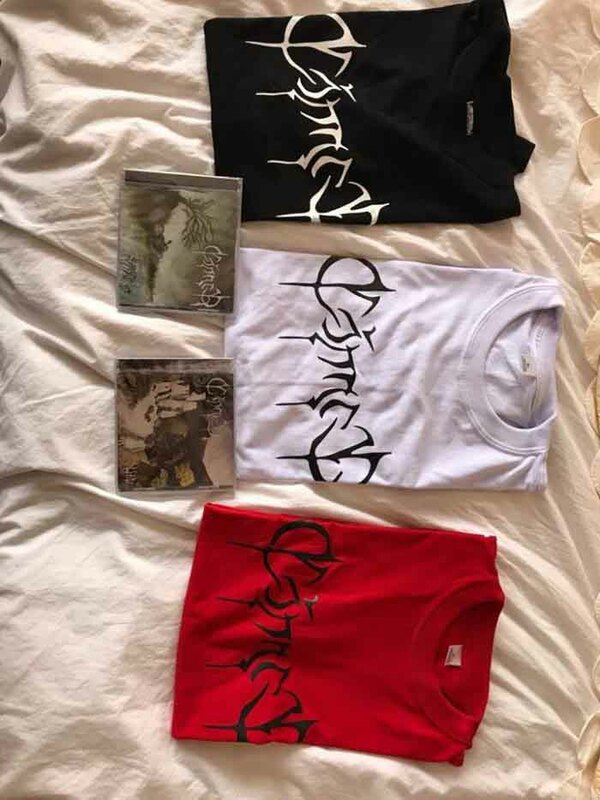 Even though Condor’s music projects a very traditional image, the final result has turned out unique, both in its character as it is shaped by consistent melodic preferences, and in its methodology, which enabled veritable compositions to come into existence from powerful riffs and inebriating tunes. Les presentamos la portada de nuestro próximo álbum, ‘Sangreal,’ pintada por David Viana. El álbum saldrá el 12 de octubre. He aquí también el listado de canciones. We present to you the artwork and track-listing for our upcoming third album, ‘Sangreal’ which will be released on October 12th. The cover was painted by David Viana. “¡Qué ingeniosos y hábiles tuvieron que ser los dioses para engañarnos! Hablando siempre en su lengua extraña. ¡Qué incierta era su música, qué incierto su desconsuelo! Obscure and wacky ’80s bands are always a treat to listen to. 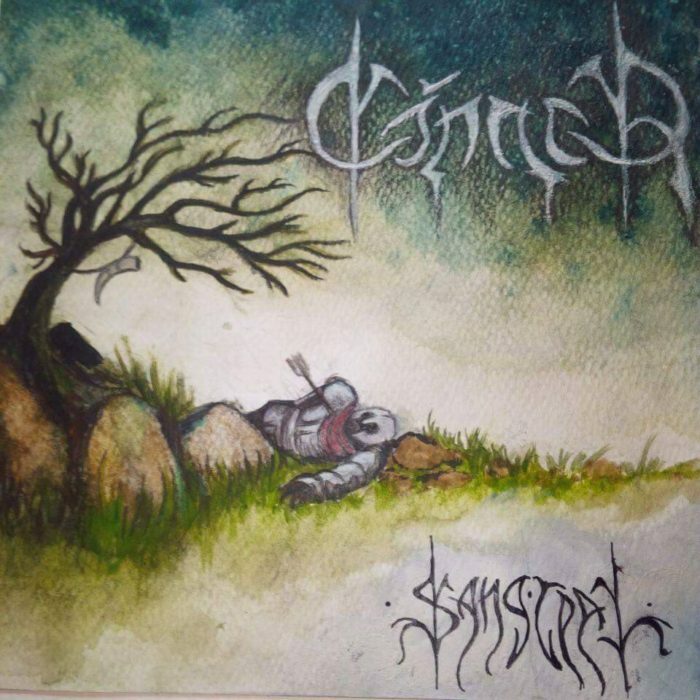 They bring the darkest side of Hellhammer or early Bathory while being completely unpredictable, without going to the completely unhinged music of hipsters like later Deathspell Omega. 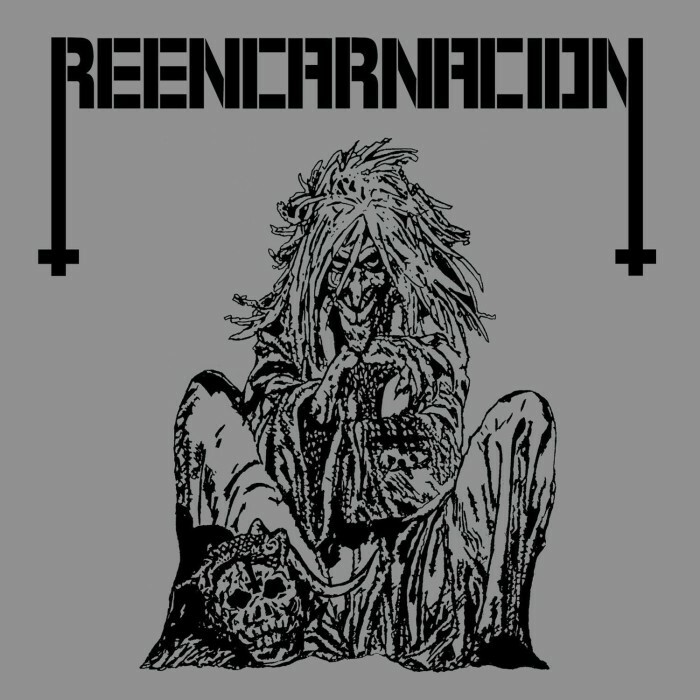 Reencarnación is another weird Colombian band that published a series of underground metal demos that would rightly be considered the true heirs to seventies progressive rock. Among the very measured use extra musical noise, such as a crowd, or a lamenting voice, there is even an interlude that makes use of a classical guitar and a violin. 888 (originally published as a self-titled) is not an album but a collection of old recordings (possibly remastered, given how clean they sound) put together as a compilation. This plays a lot like Infester’s only album, except songs are shorter and perhaps slightly more disorienting given their use of spasmic sections and percussion pauses that give it a strange feeling like that of a man gasping for air. The music basically consists of nonsense chromatic leads, Sarcofago-like thrashing, and mid-paced grindcore riffing. Quite endearing. While what we have here is a delicious mixture of experimental and progressive thinking applied to anarcho-punk going through grindcore. Unfortunately, the recordings are section-oriented (but not precisely riff-oriented), forgetting about the importance of linking songs by some kind of theme, even if not by a melodic one. The result is a confusing, winding labyrinth that attempts to emulate the progressive rock of Emerson, Lake and Palmer in their most twisted hour, and succeeding to a large degree, as it suffers from the same sort of problems, only augmented by ignorance or inexperience. Reencarnación’s 888 is certainly a very enjoyable album which you want to play while drinking alone in your room with your computer screen as the only light source as you read collections of BBS posts saved in a corner of the Internet by another obsessive nerd. However, this will not do as an example of great songwriting or endure objective scrutiny.